We analyse, educate and advise on global changes in business-society relations and how to influence and respond to these changes in helpful ways (Enterprise Trends). 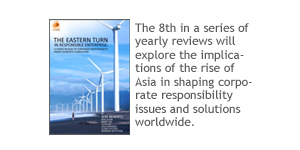 Our activities and outputs in 2010 responded to this growing desire for transformation, working with the UN, GTZ as well as CSR networks in Asia to contextualise the key challenges for CSR and responsible investment in the coming years. We also analyse, educate, and advise on the specific practice of cross-sector relations, including partnerships between business and public interest organisations like the UN and NGOs (Engaging Change). We find that the desire to attempt transformational change counters some of the negative effects of growing demands for numerical scores on project effectiveness in a challenging funding environment. Social change can be tough, and requires new ways to assess progress, although not ones that see a partnership’s existence itself as the goal. We brought that perspective to our work with UN agencies and NGOs during the year, as well as through the teaching of courses and publishing of papers. Our third work programme is the focus of our corporate strategy advisory work, where we help high-end brands to develop their approach to achieve social and environmental excellence (Authentic Luxury). It is topic we were busy with in 2010, but mostly with research, lectures and media. 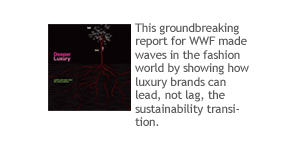 The companies in this sector are not moving as rapidly as we had imagined they might, given the strong business case for prestige brands to out perform on social and environmental issues. We worked with a couple of companies on their CSR strategies, but are yet to see wider demand for support to develop and execute ambitious and creative approaches. Sensing what is needed is different from knowing how to bring it into being. 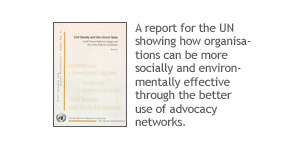 A core theme of our work for over a decade has been the potential and pitfalls of cross-sectoral collaboration as one method for generating social change. Given the growth in cross-sectoral partnerships over the last decade since my last book on the topic, Terms for Endearment, I had decided to research the latest thinking and practice and share analysis on how to take partnering to the next level. 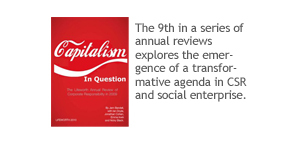 Some outputs from this included a special issue of the leading journal ‘Business Strategy and the Environment’. Contributors to the special issue look at experiences of partnership from across the Asia-Pacific, and bring new insights into what really drives partnerships and what the future holds. With my co-editors Eva Collins and Juliet Roper, we identified a new ideology that partnership is always useful in creating change, and that struggle and conflict are unhelpful – something we termed ‘partnerism’. 2010 was also the 10th anniversary of the UN Global Compact, a cross-sectoral collaboration between business and the UN, and something I have followed since discussions with Georg Kell in 1998 about the initial idea of it. 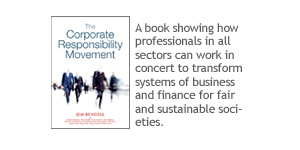 To coincide with the anniversary, the Journal of Corporate Citizenship published my reflections on how it must now address economic governance issues, which I then developed further into a series of proposals, after attending their Global Leaders Summit in New York.